Below is an alphabetical list of authors I recently focused on. This list is not exhaustive. 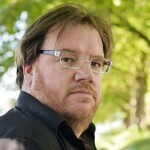 Sinan Antoon, born in Baghdad in 1967, is a poet, novelist, and translator. He left Iraq in 1991 after the Gulf War. He got his PhD from Harvard in 2006, and is currently associate professor of Arabic literature at NYU, New York where he now lives. 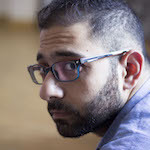 He is the co-founder and co-editor of the e-zine Jadaliyya, which is published in Arabic and English. Barakat was born in Beirut, Lebanon in 1952. 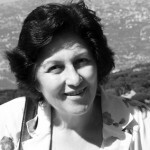 She graduated with a degree in French Literature from the Lebanese University in 1975. She worked as a teacher, translator, and journalist, before moving to Paris in 1989. Hilal Chouman was born in Beirut, Lebanon, in 1982. He studied electronics and communications engineering in Lebanon, France, and the UK. Chouman is the author of four novels in Arabic. He currently resides in Dubai where he works in Software Consulting. Hilal Chouman is an author of Dar al saqi. Jabbour al-Douaihy is born in 1949, in Zgharta, a town of north Lebanon. 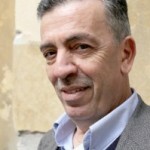 He achieved his doctoral studies in literature in France, and is today a professor of French literature at the Lebanese University of Tripoli. 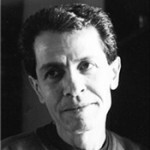 Youssef Fadel, author, screenwriter and producer, was born in 1949 in Morocco. After having worked in shipping for five years, he publishes a play that leads him to prison in 1974. He obtains his French baccalaureate as a free candidate in 1976. He taught French for twenty years, and resigned in 1999. 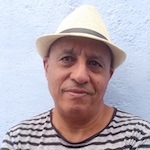 Youssef has written for television, cinema, and theater. He also direct a short film and a feature film. He published 10 novels, some of which were translated. Najla Jraissaty Khoury was born in Beirut in 1949. Her work is marked by her interest education, children literature and folk tales. She worked in alphabetizing illiterate adults and in training pre-school children teachers in the early 1980s. She created and directed a theater and puppet troupe in 1979, invented educational toys in 1984, and co-founded the first network of public libraries in 1997. Khaled Khalifa was born in 1964, in a village close to Aleppo, Syria. He is the fifth child of a family of thirteen siblings. He obtained a Bachelor degree of law. 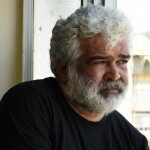 Khalifa currently lives in Damascus where he also writes scripts for Arab cinema and television. 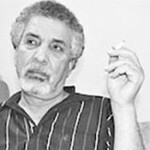 Mostafa Khalifa was born in 1948 in Syria. He starts a degree of law in 1973. Pursued by the secret services starting 1977, he goes underground. Arrested in 1981, he spends 13 years in prison. Freed in 1994, he finally graduates in 1997. He is forced to leave the country in 2005. He now lives in France. 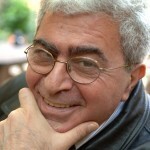 Elias Khoury is a 1948 born Lebanese novelist. Currently editor of The Journal of Palestine studies (quarterly) at the Beirut based Palestinian Research Institute. Khoury is a public intellectual, who plays a major role in the Arabic cultural scene and in the defense of the liberty of expression and democracy. 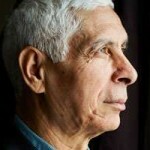 Habib Selmi was born in Tunis in 1951. A graduate of Arabic literature, from the Sorbonne University, he currently lives in Paris, where he teaches and writes for the press. Dima Wannous is a Syrian author born in 1982. 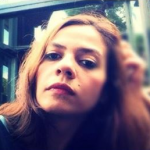 A student of French literature and translation at the University of Damascus and the French Sorbonne, she managed the cultural section of the electronic magazine “Modon” between 2012-2014, and currently prepares and presents a cultural television show. Saadallah Wannous (1941-1996) got his B.A in journalism at the University of Cairo, before pursuing studies in dramatic arts in France. He wrote some twenty plays, direted a literary magazine and a collection of works dedicated to contemporary Arab thought. He tought at the Damascus institute of dramatic art. 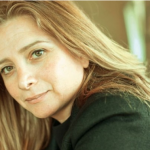 Born in 1970 in Jable, Syria, Samar Yazbek studied literature before beginning her career as a journalist and a script writer for Syrian television and cinema. 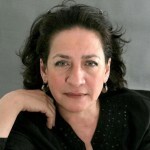 In 2011, she published In the crossfire, a description of the beginning of the Syrian uprising for which she has received many wards. She currently lives in Paris. Dar al saqi is a Lebanese publisher created in Beirut in 1991. The house seeks to promote modern literature. It therefore publishes what has often been considered provocative literature. It also seeks to establish cultural ties with Western thinkers and therefore acquires translation rights. Established in 1987, Interlink Publishing is an independent publishing house specializing in world travel, world literature, world history and politics, art, world music & dance, international cooking, children’s books, from around the world.